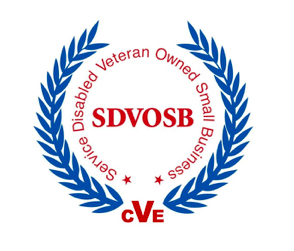 Preting Consulting, a certified Serviced Disabled Veteran Owned Small Business (SDVOSB) and Woman Owned Small Business (WOSB), has been re-certified as a SDVOSB by the Department of Veteran Affairs, Center for Verification and Evaluation. Preting has been a CVE certified SDVOSB since 2014. This re-certification is valid through January 2020. Preting is proud that 90% of our employees are veterans. The SDVOSB certification increases the number of opportunities available to our current and future employees. The SDVOSB designation provides Preting access to federal government set-aside contracts that are available exclusively to SDVOSBs. Preting Consulting is a privately-owned company founded in 2011 by a unique mix of national security professionals who have extensive experience protecting vital interests. Preting combines the ingenuity of the intelligence and special operations communities with the flexibility and innovation of the commercial sectors of the world to provide insightful, forward-focused solutions.